Lovely Ben, who cuts my hair, comes from Reading in England. Almost three years ago he travelled back there so he could vote in the Brexit referendum. He voted Leave. Almost three years later, he thinks the situation is a total mess. But he remains confident that leaving the European Union is the right choice. “Things will come right in the end”. We watch from around the world with a kind of horrified fascination as dogged driver Theresa May remains determined to back her too-fat Brexit lorry through a too-narrow service lane into the Houses of Westminster. There is much revving of the motor and slipping of the clutch and each time she ends up jammed by the Noes lobby or security bollards or a Speaker’s ruling or all of the above. But she keeps on graunching back and forward hoping the lane will get wider or the lorry thinner. She can think of nothing else to do. I have been struck by the ways this demonstrates how complex systems are patterned but not predictable. The next step in Brexit is still unknowable but the patterns in the process seem clear, and stuck. Consistent patterns can be seen in the positions of the EU, despite regularly cross-channel supplications from the British PM, the stances in the Conservative Party and actions in Parliament. In case the past few years have all become a blur, here is a summary: After the stunning June 23 2016 result, David Cameron resigned, various Tory hopefuls dropped out of the race to replace him and Theresa May was left as the last woman standing. Her perseverance was a sign of things to come. There was much hubris at the beginning. Liam Fox, the new trade minister, said the trade deal with Europe would be “the easiest in history.” In response to pressure from Hard Brexiteers, May was pushed into triggering the leaving provisions of Article 50 setting the clock running. She then had inflexible red lines drawn up in secret and she announced them at the Conservative Party conference in May of 2017. She looked staunch. These are the ones she is now backing her lorry into to try and give herself more space. She and Conservative Brexiteers studiously ignored the Irish question. Then she called a snap election to consolidate her commanding lead in the polls. The lead evaporated and instead she was returned with only a minority government propped up by the Democratic Ulster Party. The Irish question was now front and centre and, hostage to the DUP, the PM’s box of options became even more cramped. Parliament was getting restless. Fractious Conservatives joined with the opposition in Parliament to force the Government to back down and require the PM to put whatever was agreed with the EU to a meaningful vote (MV). So far three MVs have been defeated. Bash. Bash. Bash. There might be a fourth MV in the coming week. One thing led to another. This is the sort of post-hoc investigation we do in complexity. We can look back and trace all the elements and how they led to where things are today. But this causation does not help much with predictions. The future is still unknowable. And yet, what are we seeing about the patterns in the system and how might they be changing? This is narrative number two. The Leave and Remain camps have got stronger and more entrenched since the 2016 referendum. This echoes the work of Peter T. Coleman, the Columbia University professor who has applied complexity principles to the study of intractable conflicts. 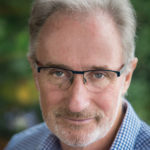 Coleman writes in his 2011 book The Five Per Cent: Finding solutions to seemingly impossible conflicts: how humans are driven towards consistency and coherence. “This is natural and functional,” Coleman writes. However, “conflict intensifies this drive, which can become dysfunctional during prolonged conflicts.” Coleman describes ongoing conflict as deepening differences between people and strengthening basins of attraction that hold people apart. How much of this are we seeing as a consequence of Brexit? John Curtice researches and writes about this. Amongst many relevant points, he writes about the levels of polarisation involved. Research by Curtice and others show that the percentage of Britons who are very strongly identified with their views on Brexit (either remaining or leaving) has grown to 44 per cent. Only 9 per cent have a strong identity with a political party. When the very strong and fairly strong scores are combined, 77 per cent identify very strongly or fairly strongly with their position on Brexit. This compares with only 27 per cent for party identification. Much as it pains me, the works of both Coleman and Curtice suggest that a second referendum or ‘people’s vote’ is highly unlikely to resolve an issue like this. The only paths out of very stuck systems such as these involve finding ways to bridge the different needs of the two or more groups involved. Backing up the truck over and over will not do it and neither will driving off in the opposite direction. For all the stumbles and unintended consequences, as described by Oliver Wright, the system has changed. The bridging that needs to be done across this widening chasm has to be done with the elements of how the present system is now. It is the only one to be worked with. Some hybrid future form is needed that enables Britain to be apart from Europe and also connected to it, with people’s access to Europe in some form and some version of greater British control of immigration, free but managed trade, and the island of Ireland able to continue functioning as a peaceable entity. One pattern that has to change is that where so many political leaders have been exploiting the situation for individual and party gains, focused on careful positioning for when the party leadership or a general election might fall into their laps. The courage needed from leaders is to lean into the contradictions that litter this issue and try to resolve them for the greater good and without promising electors they can eat their cake and fill the cake tins with the corgis on them with it too.